We had a hard freeze two nights this week. There has been some damage but not sure how much. 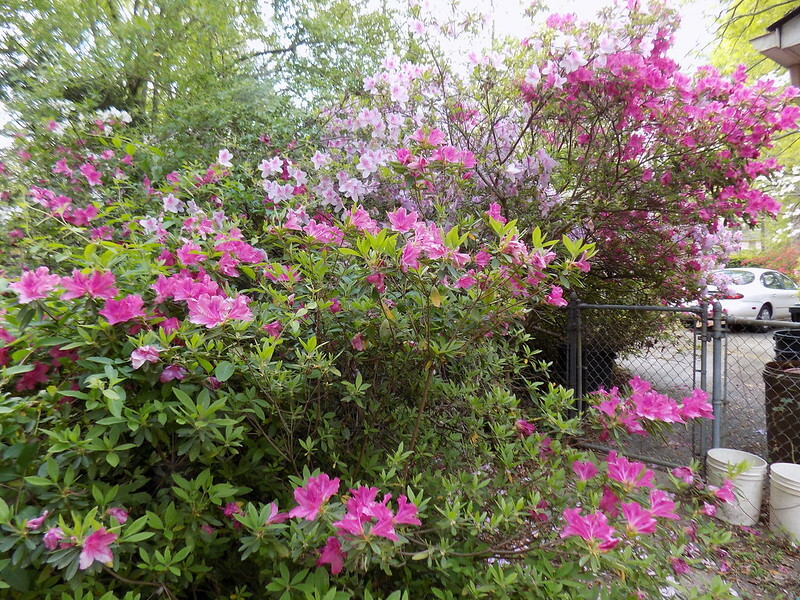 My azaleas bloomed earlier than usual and they are definitely dropping blossoms fast in the cold snap. I took a bunch of shots before the weather switched back to winter. When I hear people talking about covering azaleas, I laugh. 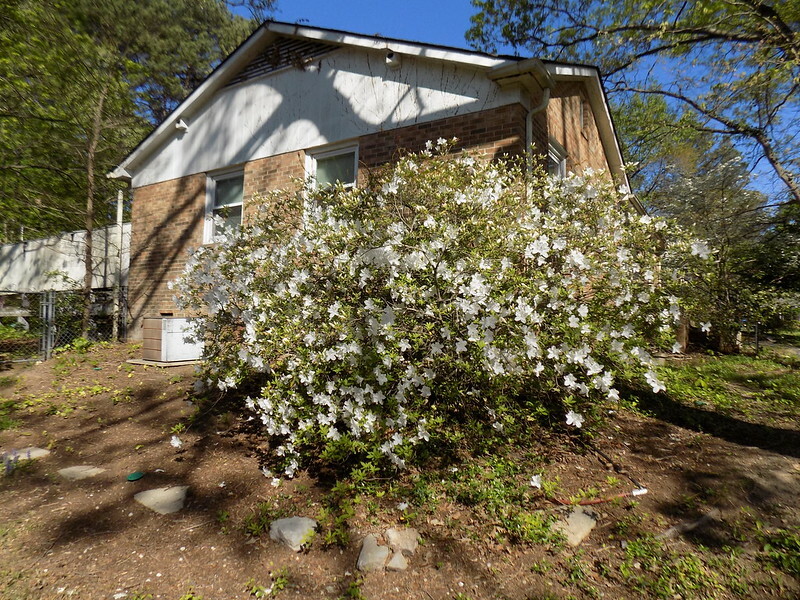 I don't have the kind of azaleas that are practical to cover. 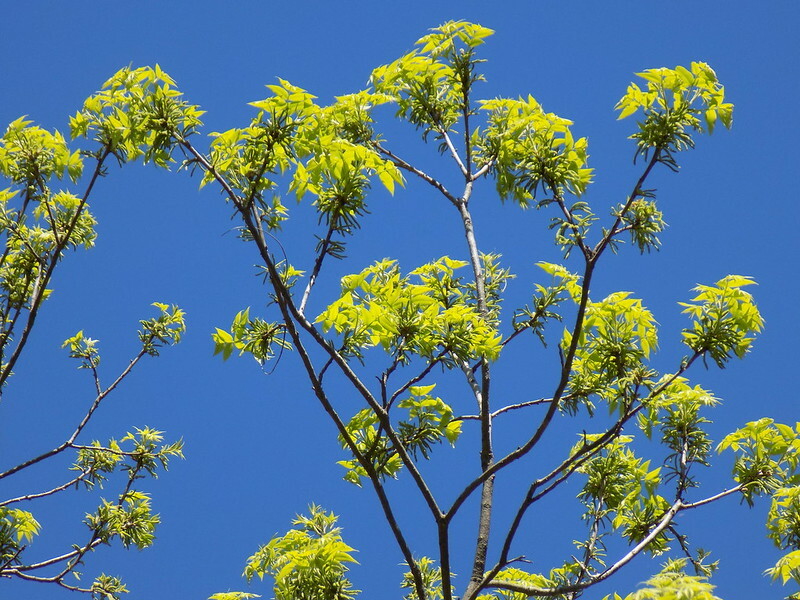 I worry more about the new leaves on trees because they don't always recover if they drop new leaves. I don't mean that it kills the trees but I know with my pecan tree if it has to start leaves over ago, I usually don't get many pecans that year. The first shot is of my pecan tree before the weather got cold. Oh that is awful when there is so much in bloom and then there is a freeze...here the snow and cold are not affecting much as it is all hunkered down still except for a few early hardy flowers. 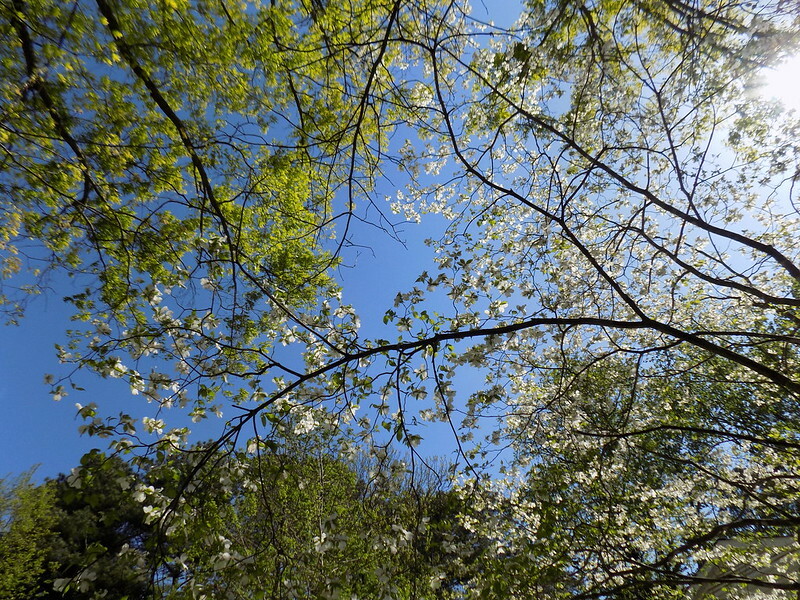 Beautiful photos of the azaleas and the trees and their new buds. Hope this chop and change weather doesn't hurt them any. Beautiful shots!! 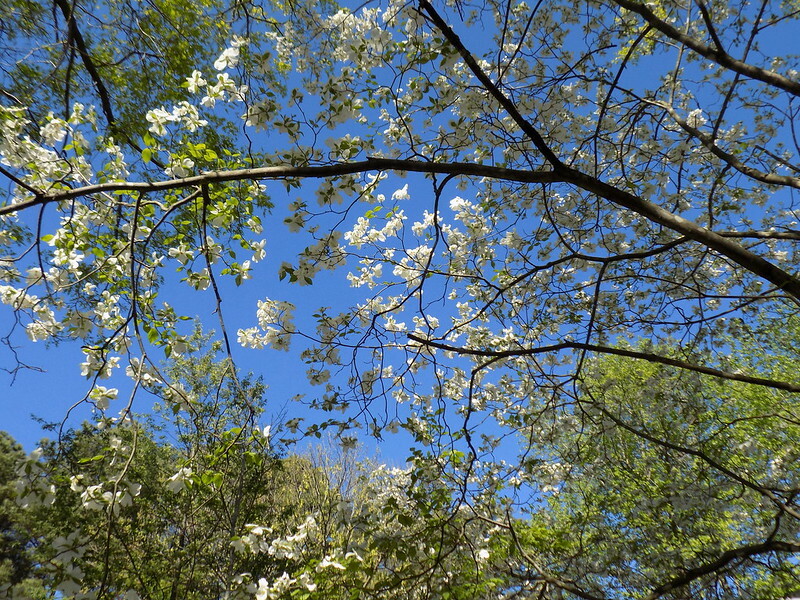 I am so ready to see flowers blooming. it would be so sad to loose flowers early or to damage. i hope your plants and trees do fine! they are beautiful and yes large for covering. 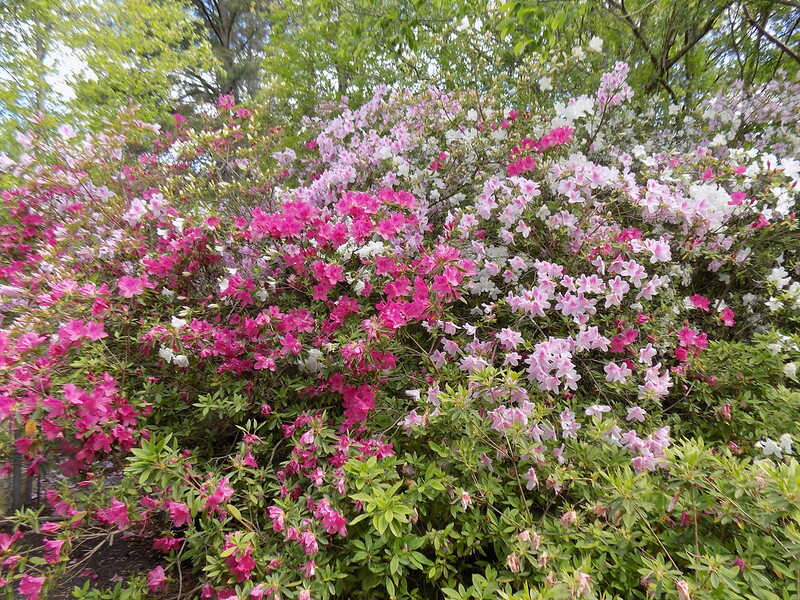 I look forward to every spring when you feature your showstopping azaleas. 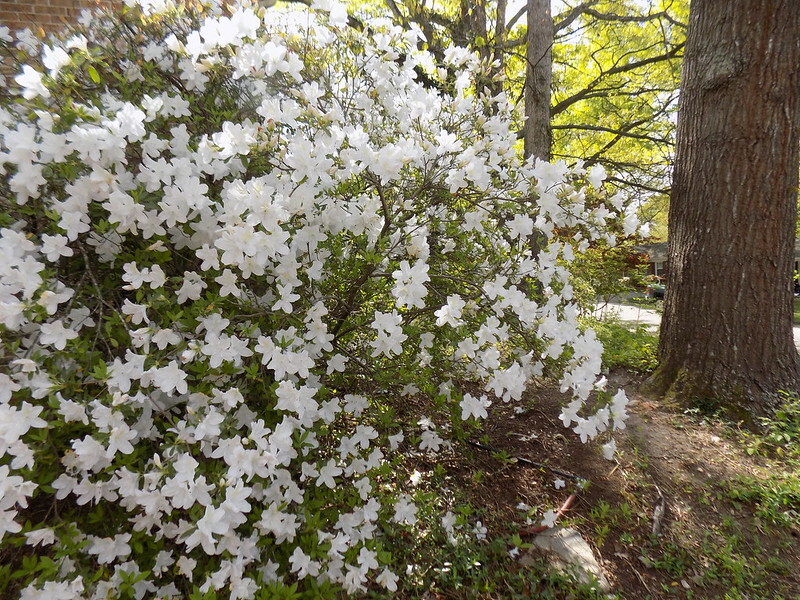 The azaleas are fabulous - what a joy spring is - until it freezes. I hope there wasn't a lot of damage. I just have to laugh at the mental picture I have of you hiring a crew of hundreds of people with ladders and tarps -- and still not being able to cover those magnificent azaleas. They are so wonderful and I do hope the late freeze doesn't permanently damage them or anything else.